The most explosive automotive story in decades keeps producing plot lines few would have imagined possible a year ago. Now the beleaguered Ford Kugas are being recalled - worldwide - because the seatbelt mechanism is a fire risk. A quick recap for those who may not have been consuming any media for the past eight months. In January Ford South Africa - somewhat strong-armed by the National Consumer Commission - called a nationally televised press conference to announce the recall of 4556 1.6 petrol engined Kugas after almost 50 of the SUVs had caught fire all over the country, most of them on national roads. Failures in the car’s coolant system had caused them to overheat and catch fire. So the cars went in for Phase 1 of a modification of the coolant system, and then last month Ford asked those Kuga owners to return their vehicles to their dealerships for Phase 2 - mainly involving the installation of a coolant level sensor which flashes up a beeping warning on the instrument panel when the coolant drops to a dangerous level - and then goes into limp mode if the driver doesn’t pull over. Then last week came the news of the seatbelt recall - also fire related! 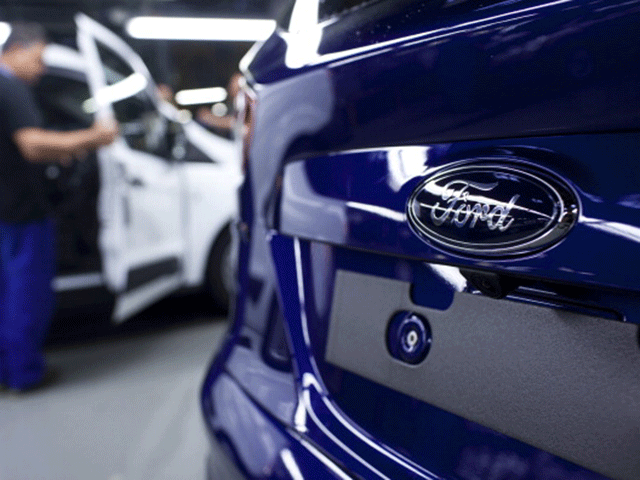 This latest recall affects all Kugas, regardless of engine type, built at Ford’s Valencia, Spain plant between July 2012 and June 2014 - 7219 vehicles in South Africa; 173 000 worldwide. In the event of a front impact, the activation of the seatbelt pretentioner - that’s the housing on the pillar where you pull the belt from - can, as Ford puts it, "potentially cause the insulation material around the pretensioner to ignite”. There have been no Kuga seatbelt fires in South Africa, but two European Kuga owners experienced seatbelt fires when involved in accidents. The fix involves removing that insulation material from the area around the seatbelt retractor thing, apparently. Getting back to those 4556 Kugas which are part of that coolant system recall, 4144 of those have responded to the recall - that’s 89%. That leaves 412 which have yet to be modified. Mind you, six people took their cars for Phase 1 of the recall and were assured their cars were safe to drive, only to have them catch fire shortly afterwards. And for a seventh it was a close call. Jo Procter of Midrand told Consumerwatch this week that she took her 2014 Kuga in for the Phase 1 fix within a week of Ford announcing it in January, it was serviced less than two months ago, but still it came close to catching fire a couple of weeks ago. She took it to a Ford dealership to have it checked out, and was told by the dealer principal that her vigilance had “stopped something catastrophic from happening”. There was a leak and the cylinder head had cracked - it was on its way to combusting. The engine is now being replaced. “Ford said it would be safe after Phase 1 of the recall now I am being told it will be super safe after Phase 2,” Procter said. Kirsten James of Westville’s 2014 Kuga actually did burst into flames on the N2 at the Tongaat toll plaza in April, after she’d had the Phase 1 fix done, and was assured it was safe to drive. She felt betrayed, especially as she had her young son in the car at the time. Exactly a month ago, another Kuga burnt out on the N12 in Joburg - also after it had been taken in for Phase 1 of the recall. Finally yesterday, after I’d badgered them for weeks for an answer, I got one. According to Ford, a total of six Kugas have caught fire AFTER having the recall safety modification. In four of those cases the fire damage prevented determination of the cause of coolant loss. In the other two cases, where the damage was less severe, “the root causes were found to be unrelated to the Phase 1 repair”, Ford said. So the Kugas caught fire due to some other reason, but not because of their fire-prone seat belts. So I had to ask: “Does Ford accept that Phase 1 is not the complete fix it hoped it would be? Here’s how the manufacturer responded to that. "Phase 1 has proven very effective in reducing the coolant loss, and the vehicles are safe to drive provided the integrity of the coolant system is maintained. So in summary: In six and almost seven cases, the Ford coolant system fix didn’t stop the vehicle losing coolant which led to fire for some unknown or unrelated reason, but Phase 2 - the installation of a sensor system to beep and flash when the coolant level drops, and put the car into limp mode if the driver doesn’t stop - will definitely prevent the cylinder head cracking, and thereby prevent fire. That sounds like a pretty good incentive to get that sensor fitted as soon as possible.